The history of baseball card collecting is littered with sad stories of collectors who focused on “the next big thing.” For every Frank Thomas or Greg Maddux, though, there are dozens of can’t-miss prospects who never made it big. If you pick the wrong player to collect, you’re essentially throwing your money away. You’ll never get anything back for that Todd Van Poppel rookie card. Since rookie cards, like all baseball cards, tend to be overproduced these days, you need to look for specialty cards of your chosen young player. Autographed cards, metal cards and other inserts can pay off big, especially if you acquire the card before the player makes it big. That’s the gamble, of course. You can spread your risk by investing in multiple players when you buy baseball cards. You may not get everything from one specific player, but you’ll be more likely to get something back if you pick more than one. Remember, if all you bought were Chuck Norris cards, you’d be sitting on a whole lot of quarters, not Franklins. 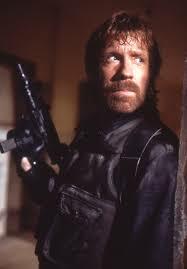 If you don’t recognize his name, Chuck Norris was a movie and television star, famous — or infamous — for low-budget action movies. Born in 1940, he had a lengthy and fruitful career. If there were a Hall of Fame for B-movie stars, Chuck would fly in on the first ballot. He does have a star on Hollywood’s Walk of Fame, but then, so does Lassie. He never played professional baseball, but pretending he did can teach you how to buy baseball cards. 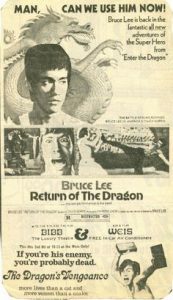 Chuck Norris broke into the big leagues in 1972 with a part in the Bruce Lee film, Return of the Dragon. The movie featured a fight scene between the two (spoiler: Lee won). Already hyped as an accomplished martial artist, Norris was seen as an up-and-coming box-office draw. If you bought Norris’ rookie card like you buy baseball cards, you’d have seen him in an action pose on the front of the card. The card back would have shared his measurements and mostly minor league accomplishments to date. Since his rookie card would have come out in 1972 or 1973, it may have been a rare find and initially considered quite valuable. In Norris’ case, he continued to “star” in an assortment of bad action movies. Critics called him “wooden,” comparing his acting unfavorably to a baseball bat. In 1993, after a journeyman career, he was sent down to the minor leagues of television for good. Although he enjoyed a cup of coffee in the big leagues now and then, like many others before and since, he never fulfilled the hype.